This Antique Copper Anchor Oil Lamp 15" is an authentic marine ship lamp. 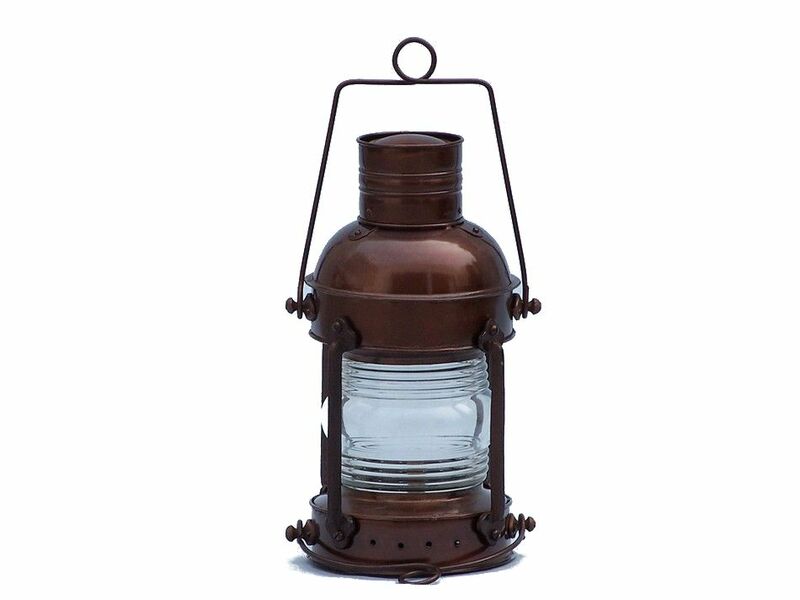 Handcrafted from cast iron to create a realistic vintage lookout lamp as used on historical wooden tall ships, this rustic ship lantern is true to the original design of period lamps. 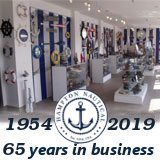 Our boat lantern is fully functional and simply needs oil to omit light. The oil burn tank and wick are both located at the bottom of the lamp.